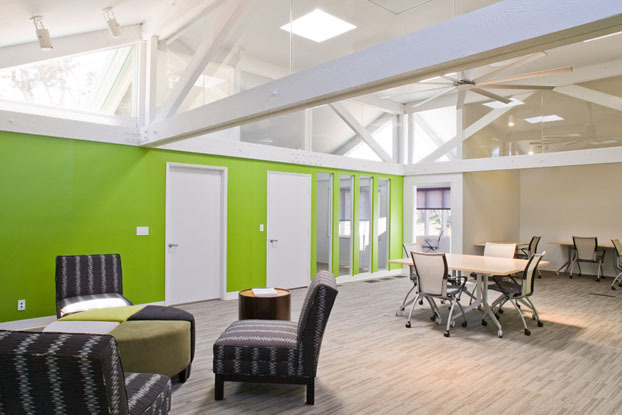 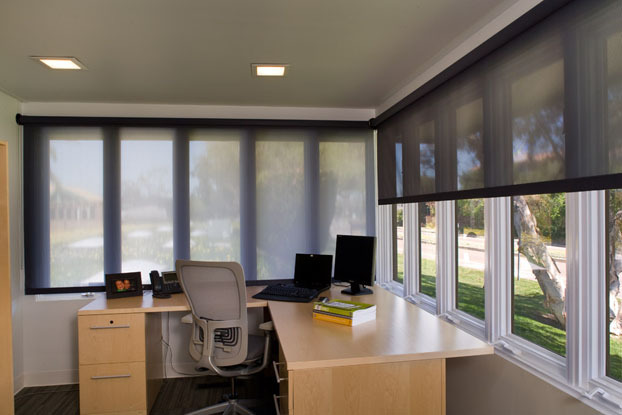 Thomas Turner Design Build Inc.
Hunter Douglas Contract's RB 500 roller shade system with GreenScreen shading fabric solved these problems and fit well with the sustainable philosophy and strict standards established by the USGBC. 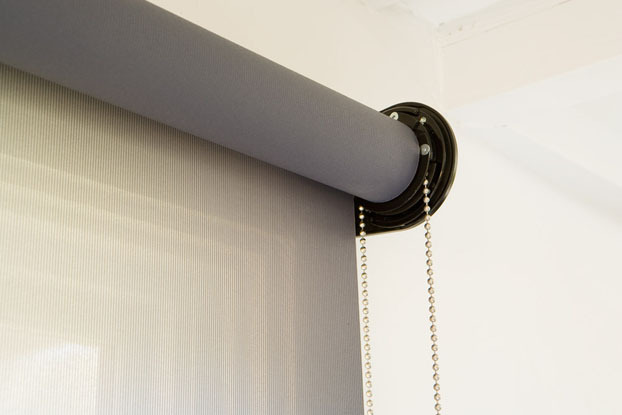 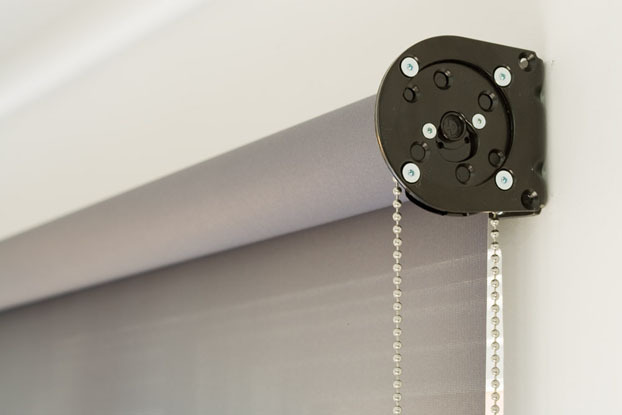 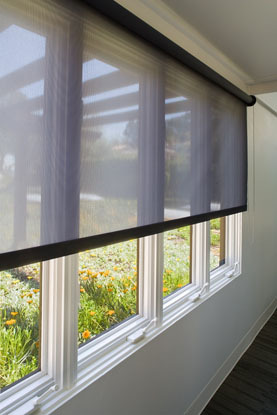 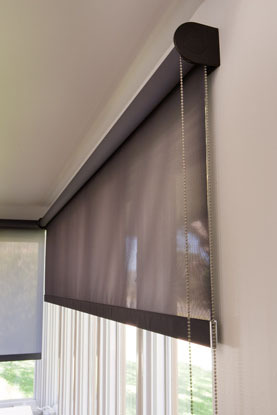 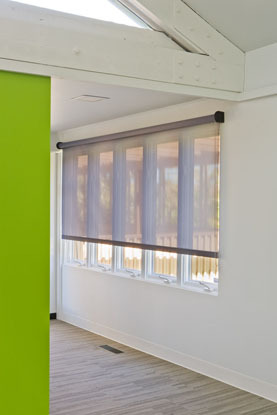 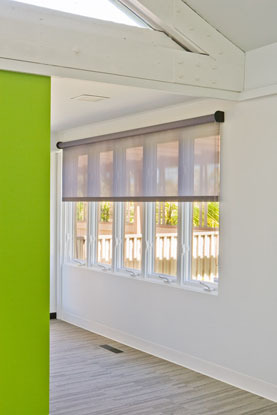 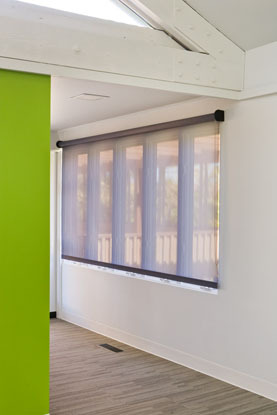 The desired shading characteristics were achieved using the 3% openness of the PVC-free fabric. 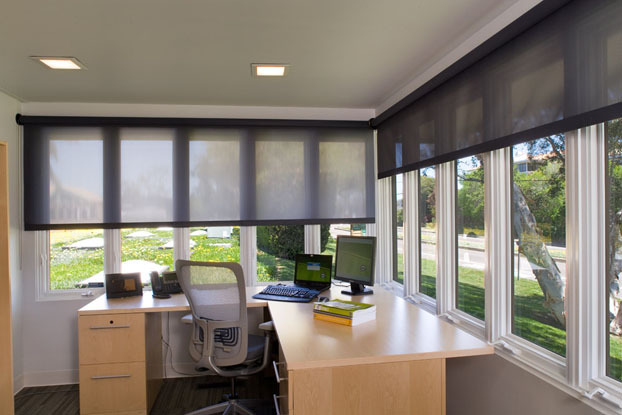 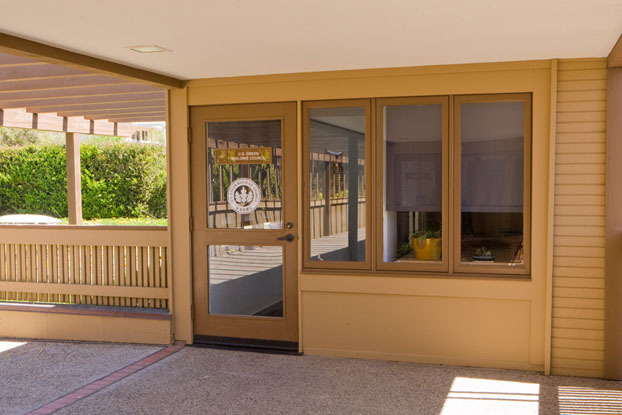 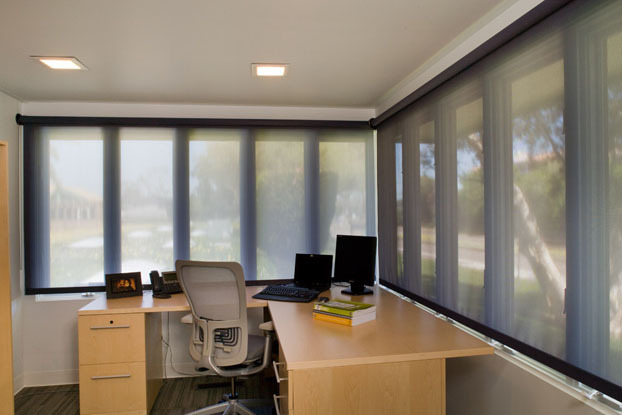 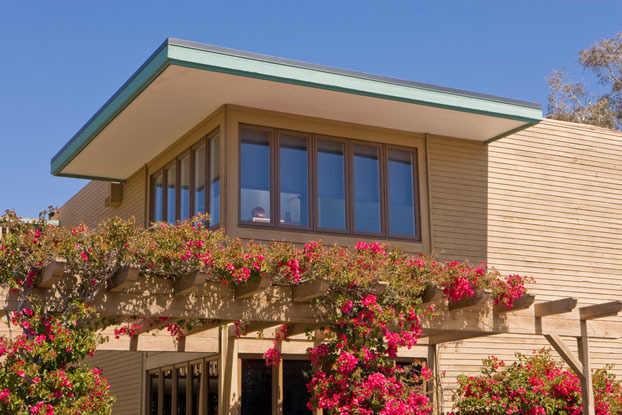 This provides the benefit of controlling the direct sunlight, while maintaining views to the outdoors.